Manchester United have undergone a Scrooge-like transformation over the Christmas period – and their players were visited by their own ghost of seasons past on Boxing Day. Club legend Wayne Rooney was in the stands to watch their victory over Huddersfield Town, and he visited the dressing room after the game for pictures with the players. 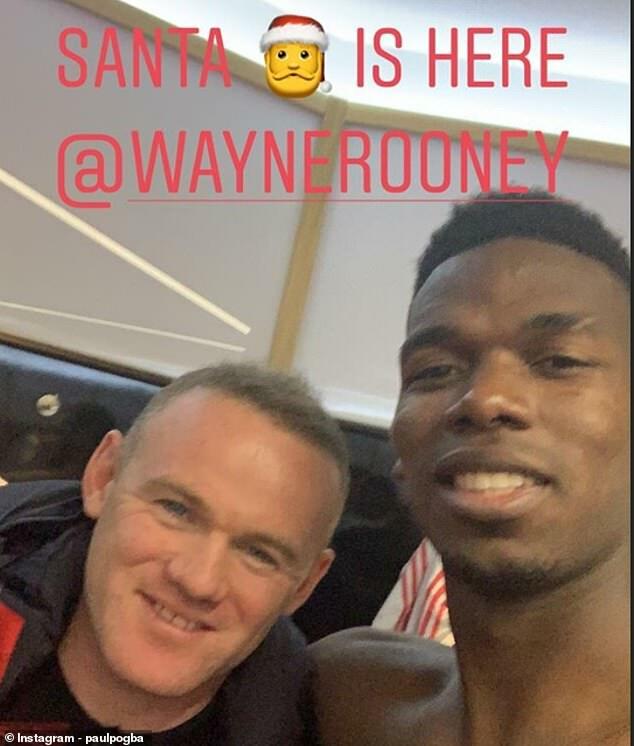 Rooney took a selfie with revitalised midfielder Paul Pogba, who posted the picture on Instagram with the caption ‘Santa is here’ – although the former England captain was sadly lacking the beard. 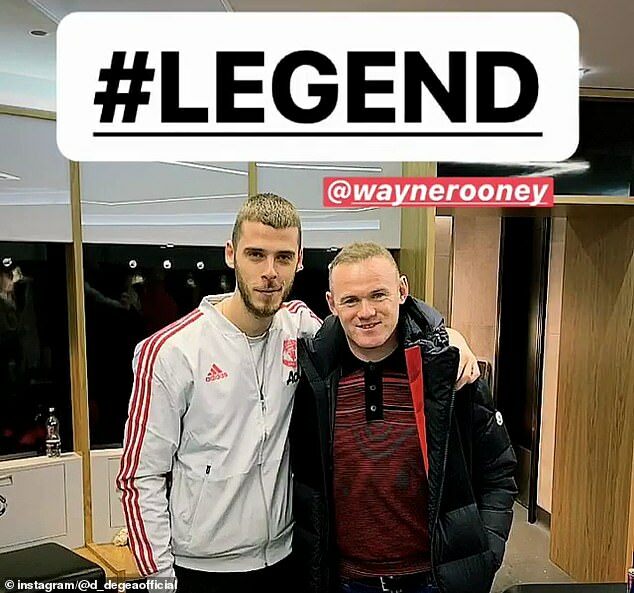 Goalkeeper David de Gea also took a picture with his former team-mate, although was more straightforward with his caption, simply titling the picture ‘#legend’. Rooney also took a selfie with Jesse Lingard, as he watched Ole Gunnar Solskjaer take charge of his first home Manchester United fixture. Solskjaer, another former United team-mate of Rooney, made it two wins from two in his interim spell in charge, the hosts beating Huddersfield 3-1. For United, it continues their upswing since Solskjaer replaced the sacked Jose Mourinho, who left the club a week before Christmas. Under Mourinho’s bah-humbug brand of football, United made their worst ever start in the Premier League era, at the 17-game mark when he was dismissed. Club hero Solskjaer was brought in to lift spirits, improve the style of play and get the fans back on side – and looks to have done so with back-to-back victories. Rooney, the club record scorer with 253 goals, will have approved of eight strikes in Solskjaer’s two matches – a 5-1 win at Cardiff, and the three racked up against the Terriers.